At E*TRADE, we rattled the very foundations of Wall Street. Decades ago, we helped reinvent the financial services industry by putting choice and control into the hands of individuals. And the revolution continues. We strive to transform the status quo, knock down old barriers, and find new ways to serve our customers. If you think that sounds exciting, E*TRADE could be the place for you. You bring us your talent and dedication, and we’ll give you the opportunity to make a difference—and maybe the opportunity of a lifetime. E*TRADE truly cares about its people; helping employees find the right roles is key to the overall success of the organization. That's why team members choose to work here. They see the opportunity to make a difference and grow over time—building their careers by taking on more and creating their own unique path. With a clear process for internal transfers—applications, relaxed interviews, and clear feedback—it's easy for top performers to advance. E*TRADE offers employees incredible learning tools and opportunities. As a nimble organization, employees have the opportunity to network up, down, and across—getting exposure to a variety of business challenges and hands-on problem solving. The company hosts monthly and on-demand trainings to provide insight into industry and firmwide initiatives, topics, and team responsibilities. Listening is also a big part of maintaining our culture. Employees participate in regular engagement and pulse surveys to help us understand what we are doing well, and where we can adapt to improve the employee experience. Amie promotes employee experiences within the company by developing a cool culture and providing resources for growth, diversity, inclusion, and continued learning opportunities. Hiram oversees the team that takes care of E*TRADE’s website and mobile application. They listen to customer feedback in order to manage existing features and functions and implement new ideas as needed. Payal ensures her team has the tools they need to build and test the technology stacks that will be used to create scalable, user friendly features for company customers. E*TRADE’s culture of inclusion is rooted in our pioneering DNA, starting with how we leveled the playing field for the retail investor. We have continuously worked to transform trading and investing from a category reserved for a select few to one in which all can participate. We believe a superior experience is one that appeals to the broadest spectrum of customers and their diverse goals and needs. Dedicated to attracting, retaining, and cultivating inclusive talent through enhanced cultural awareness and leveraging the strength of multicultural perspectives. Dedicated to actively engaging diversity and inclusion through an open, collaborative, and accepting environment of LGBTQ employees and allies who engage in strategic business, social, and charitable partnerships. Dedicated to enhancing the work environment at E*TRADE for Veteran employees, employees who have veteran family members and friends, and Veteran job seekers. Dedicated to systematically enhancing recruitment, retention, development, and promotion of Women in Technology at E*TRADE. Dedicated to delivering a culture of diversity and inclusion for women by providing a place to strengthen their voice, leadership skills, and network through recruiting, development, connection, and volunteerism. Dedicated to attracting, developing, and retaining Emerging Young Professionals at E*TRADE through engagement, mentoring and networking across the business areas and the sites. Through our Diversity & Inclusion Advisory Committee, E*TRADE executives drive initiatives that promote inclusion at all levels of the organization. As an Equal Opportunity Employer, we seek diversity that transcends gender, race, age, sexual orientation and identity, background, experience, and thought to optimize our work environment, expand our horizons, and better serve traders and investors of today and tomorrow. Leaders at E*TRADE make it a priority to provide employees with a good work life balance. The organization puts a lot of trust in its employees to ensure smooth operations during trading hours—and this high level of accountability is rewarded through a generous amount of personal time off and flexibility with work hours. E*TRADE also supports personal health by offering free health screenings and flu shots throughout the year and cultivates a friendly and supportive environment where employees are always willing to step in and lend a helping hand to their colleagues. 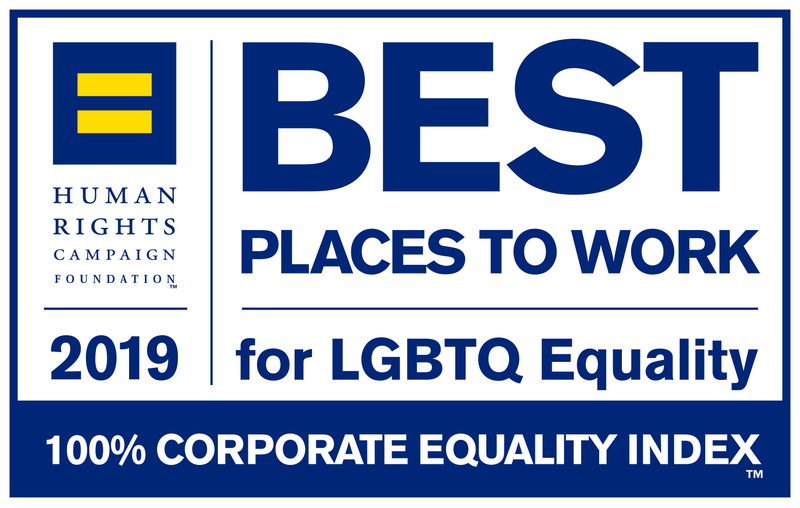 In the 2019 Corporate Equality Index Report, 571 major businesses, spanning nearly every industry and geography earned a top score of 100 percent and the distinction of “Best Places to Work for LGBTQ Equality”. Read the full report here.